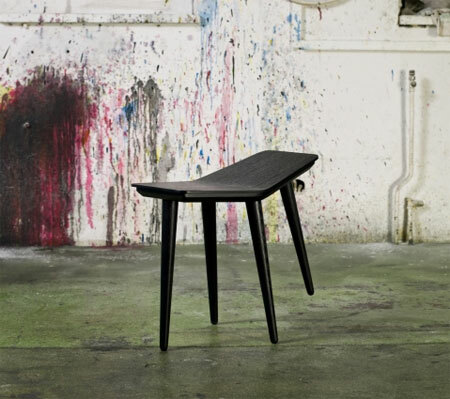 Swedish furniture manufacturer Brikolör recently launched in Milan the Älta-Älta stool designed by Sami Kallio. 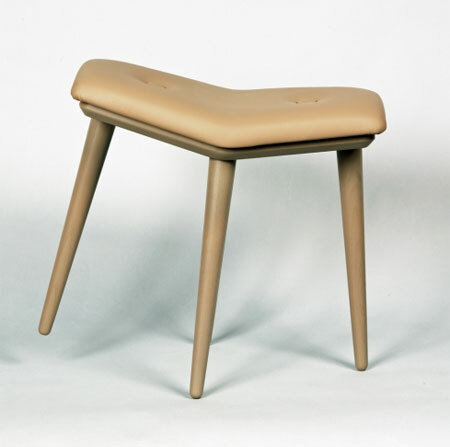 The Älta-Älta is a stool that allows you to move while sitting – just like a rocking-stool: It has four solid ash legs, with only two or three feet touching ground simultaneously. The seat is either leather-padded or made from bent wood. Älta-Älta is available in soft colours or in classic black with untreated ash. 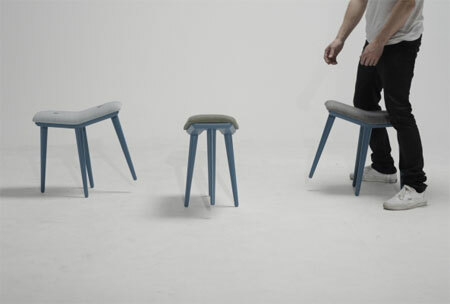 Älta-Älta stools can be seen and tried out until 3 April 2011 at nhow hotel, Via Tortona 35, Milano, Italia. Update (2017): The company stopped its activities.